Stylish independent apartment or nice cottage with pool near Carcassonne - Cottage 'Le Galamp' at Domaine de Maran. Cottage 'Le Galamp' at Domaine de Maran. For 3-4 people : 145 euros per night - 1.015 € per week (linen and end of stay cleaning included). 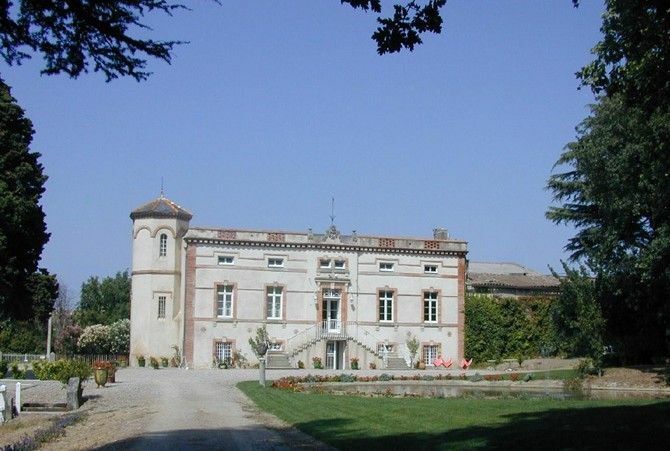 In the heart of the Cathar country, just 4km from the Canal du Midi and the tremendous medieval walled Cité de Carcassonne, close to a golf course, a nice cottage with pool “Le Galamp” , for 2 to 4 adults maximum, in the outbuildings of the magnificent Domaine de Maran. 2 bedrooms, 2 bathrooms. WARNING : For safety and quietness 'LE GALAMP' is not suitable for children. Ground floor - living-room, - kitchen with washing machine, dish washer, electric oven, micro waves, freezer and fridge, gas cooker, toaster, electric coffeemaker, electric kettle. Golf course 1 km from the cottage. For 3/4 people : 145 euros per night (linen and end of stay cleaning included). For 1/2 people : 125 euros per night (linen and end of stay cleaning included). WARNING : For safety and quietness 'LE GALAMP' is not suitable for children. Thank you very much for your kind review. It has been a pleasure to welcome you and your friends at home. I hope your stay in Europe after Carcassonne was nice too. Have a nice summer ! Our stay at Domaine de Maran was exceptional. Alex and Henri were the perfect hosts and did everything to make our holiday a delight. The gite itself was immaculate, well-equipped and comfortable, and the gorgeous fluffy towels, robes and linen were of the highest quality, adding a touch of luxury. The swimming pool and grounds were stunning and we really enjoyed sunbathing at the pool side in such beautiful surroundings. Carcassonne was magical and we spent several days exploring the many historical sites in the area, from Cathar castles to caves and the stunning Gorge de Galamus! Shopping was excellent with many shops providing delicious, organic fruit and vegetables for dining "al fresco". There were also plenty of excellent restaurants and cafes in the region. The whole holiday was amazing and we recommend it most highly. Merci beaucoup pour votre opinion si enthousiaste sur votre séjour chez nous. Nous avons été heureux de vous accueillir pendant ces deux semaines, vous et votre famille. Nous en garderons un très bon souvenir et, pourquoi pas le plaisir de vous revoir ! WARNING : For safety and quietness reasons 'LE GALAMP' is not suitable for children. Bookings : minimum 3 nights required. For 1 or 2 people : 125 euros per night - 875 € per week (linen and end of stay cleaning included) For 3 or 4 people : 145 euros per night - 1.015 € per week (linen and end of stay cleaning included).